Benson, North Carolina: Get ready to hear the power and feel the noise! In conjunction with GALOT Motorsports Park, the National Tractor Pullers Association will present the Mule City 300 Truck and Tractor Pull on Friday and Saturday, June 1 and 2. Each evening's eight-class session will begin at 7 p.m. and will be live-streamed from GALOT Motorsports Park to the world at WatchNTPA.com. In truck and tractor pulling, vehicles drag a 20-ton weight transfer sled along a straight, dirt track as the sled's resistance increases. Within a class of similar vehicles, the puller that achieves the greatest distance is victorious. 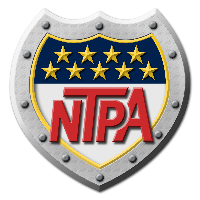 The NTPA is the world's number-one sanctioning organization for premier-level events that feature highly specialized machines resembling farm tractors, trucks, and dragsters and dedicated competitors that battle for purse money and end-of-season championships. No other motorsport offers the diversity of vehicle types, variety of engine combinations, intensity of brand rivalries, and accessibility of competitors. If you're looking for fierce, fair competition in a family-friendly, patriotic atmosphere, give truck and tractor pulling a try in Benson. The GALOT Motorsports Park Mule City 300 is part of the NTPA's Grand National Pulling Circuit presented by Case IH Agriculture, which will award in excess of $50,000 at year's end to top competitors across 13 divisions. Participants in Benson's eight divisions---Super Stock Diesel, Super Stock Open, and Super Farm Tractors; Two-Wheel-Drive, Four-Wheel-Drive, and Super Stock Diesel 4x4 Trucks; and Mini and Unlimited Multi-Engine Modifieds---will compete for GN championships and berths in the NTPA's end-of-season all-star invitational Enderle Pull-Off on Saturday, September 15 in Urbana, Ohio. The Mule City 300 is also the first locale for the 2018 Shell Rotella Cup Series presented by O'Reilly Auto Parts, which has been expanded to all 13 GN divisions and 10 locations on the NTPA's Grand National schedule. An anchor Cup Series event, Benson opens all eight of its divisions' three- or four-event miniseries, each of which will end August 16-18 in the winners circle in Bowling Green, Ohio. There, at the National Tractor Pulling Championships, $54,000 in bonus money will be distributed among each miniseries' top three point earners. O'Reilly will also reward each division's "Hardest Working Puller"---the puller whose vehicle scores the greatest cumulative distance---with a gift card. Winners at the 2017 Mule City 300 were Colin Ross of Waynesburg, Pennsylvania ("Triple Bypass" SSD), John Strickland of Clinton, North Carolina ("GALOT II" SSO), Terry Blackbourn of Shullsburg, Wisconsin ("Extremely Armed & Dangerous" SSO), Brook Ferris of Addison, Michigan ("Assorted Nuts" SF), Brad Hart of Clayton, Michigan ("Don't Ask" SF), Craig Corzine of Assumption, Illinois ("Burn Notice" TWD), Sean Blagrave of Ackerly, Texas ("Wild Horse" TWD), Ben Ellis of Champlain, Virginia ("Benjammin" FWD), Lisa Peterson of Baldwin, Wisconsin ("Profab" FWD), Grayson Shelton of New London, North Carolina ("Sawed Off" MINI), Jason Hathaway of Washington, Pennsylvania ("Honkin' Donkey Gray" MINI), Chuck Knapp of Charles City, Iowa ("Screamin' D" UNL), and Kevin Criswell of Marion, Ohio ("Blown Centless" UNL). The SSD 4x4s are making their debut appearances at Benson in 2018. Expected to return to Benson in defense of their 2017 Grand National championships are Jody and Colin Ross; Strickland; Rod Deck of Winside, Nebraska ("Dream On" SF); Jessie Petro of Camden, Ohio ("Buckeye Hauler" TWD); Peyton Davis of Tappahannock, Virginia ("Punisher" FWD); and Knapp. Moreover, Josh Deeter of Avella, Pennsylvania ("Up in Smoke" SSD 4x4) will attempt to repeat his GN title, while Joe Eder of North Collins, New York will drive "Polar Air," the erstwhile MINI champion "Bobcat Jr."Can't make it to NC? For more information about the GALOT Motorsports Park Mule City 300, visit the facility's website, www.GALOTMotorsportsPark.com, or its Facebook page. To learn more about NTPA Championship Pulling, check out www.NTPAPULL.com for up-to-date event schedules (including maps and local weather), point standings, and event results.